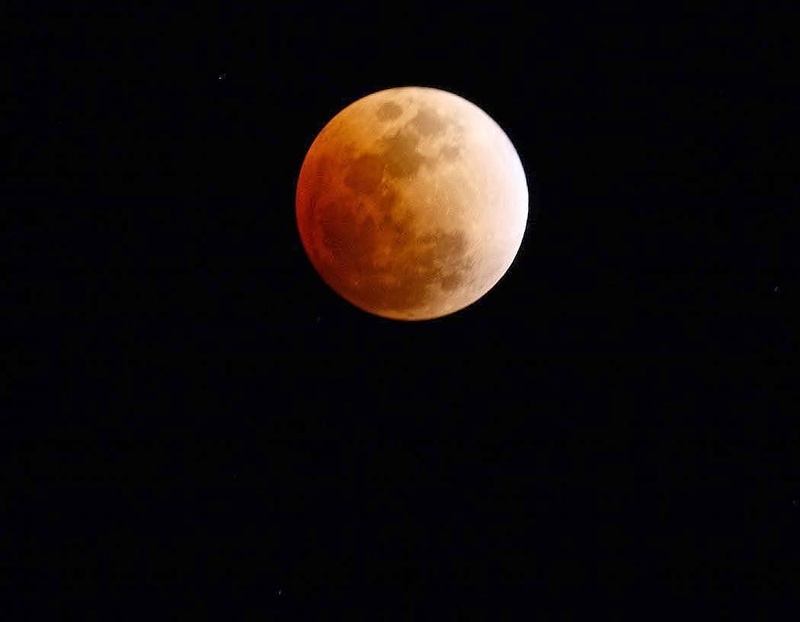 It was a week ago that the world was treated to a total lunar eclipse, also known as a “blood moon” thanks to the fact that the eclipse turns the Moon red. Additionally, last week's eclipse marks the first in a series of 4 consecutive total lunar eclipses (somewhat of a rarity) known as a tetrad. If that weren't enough, the eclipse brought about a flood of doomsday predictions, too. Why you ask? Well, blame the redness of the Moon. Starting in 2008, pastor Mark Biltz began teaching that the Second Coming was near. How does he know that? 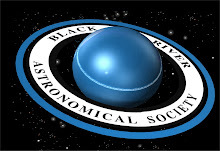 According to Biltz, he has discovered astronomical patterns (which he refuses to reveal) that led him to believe that the next tetrad of eclipses would coincide with the end times. Using technology such as his website and Youtube to spread his message, Biltz quickly built a cult-like following with modern-day doomsday believers, a following that has grown into all-out hype now that the tetrad in in process. Cue our next prophet of doom. Writing in his 2013 book Four Blood Moons: Something is About to Change, John Hagee notes that the last three tetrads corresponding to the Jewish feasts of Passover and Sukkot (as this current one does) correspond to pivotal events in the history of the Jewish people: the expulsion of the Jews from Spain (1492-3), the founding of modern Israel (1949-50), and the Six Day war (1967-68). As a result, thanks to the “rarity” of tetrads and their past correspondences with important events in the history of the Jews, Hagee predicts that something big is just over the course of the horizon that could mark a dramatic shift in the fortunes of the Jewish people, and, thanks to the global society we now live in, the world as a whole. For starters, Tetradds are not all that rare as there have been 62 of them in the past 2,000 years. That equates to a tetrad about every 30 years, meaning that, on average, a person will see two of them in a lifetime. As for tetrads that have eclipses falling on Passover and Sukkot, those are rarer, with only 8 of the 62 falling on such dates. Still, with about 1/8th (12%) of tetrads having eclipses falling on these two holidays, the whole tetrad-Passover-Sukkot alignment doesn't look all that rare anymore, after all, does it? As for the other tetrads falling on these two holidays, they took place in the following years: 162-2, 795-6, 842-3, and 860-1. Now, even with the tetrads not being all that rare in themselves, isn't it still an oddity that they happen to fall on these important Jewish holidays? Well yes, that is until you learn that the ancient Jewish calendar (still used for determining the dates of religious holidays) is a Moon-based calendar! Gee, Full Moons (the only time a lunar eclipse can occur) on dates of major holidays now have a perfectly rational explanation. Now, as for the implication that a series of 4 consecutive total eclipses leads to pivotal events in the history of the Jewish people, this is an extreme example of the logical fallacy post hoc ergo propter hoc (“after this, therefore because of this” in Latin), which is basically false causal reasoning, an argument based on the assumption that two completely different events are related to one another in that Event A causes Event B. Example: you see a black cat (Event A) on your way to work and have a bad day at work (Event B), so you assume that the black cat caused you to have a bad day at work. Pretty stupid, huh? Well, not according to the millions of people who pushed Blood Moons into the bestseller category on Amazon, where it has remained in the top 150 titles essentially since its release. In reality, there is only a single way that the Moon has any measurable impact of events here on Earth: its gravity. Want to see proof of this? Look no further than the famous Bay of Fundy and its tides. Gravity aside, the Moon does nothing for us here on Earth, except scare the gullible, apparently. Hagee's false causal reasoning exposed for what it is, how about Biltz and his interpretation of the Bible? For fundamentalist Christians, the Bible is literal truth, case closed. However, even for the most devout Bible thumper out there, there's no denying that the holy book can be very vague at times. Let's take a look at the verses Joel 2:30-31, which state that “30 And I will show wonders in the heavens and on the earth, blood and fire and columns of smoke. 31 The sun shall be turned to darkness, and the moon to blood, before the great and awesome day of the Lord comes.” This is the passage that Biltz uses as the basis for his Doomsday prediction. Okay, there is no doubt that, if one applies natural events to this “prophecy,” the events spoken of here can only be a solar and lunar eclipse. Problem: eclipses occur in cycles thanks to celestial geometry. Result: a lunar eclipse at Full Moon is often followed by a solar eclipse at New Moon, roughly 2 weeks later. Bottom line: eclipses often follow each other, though having the perfect alignment for a pair of total eclipses is rarer, it's nothing that unusual. Doing a little math with the roughly 6-month eclipse seasons, that's roughly 4,000 such cycles in the last 2,000 years, which means that such a succession of events is nothing unusual at all. In the end, what do we have? Well, after reading this, two prophets of doom with theories filled with more holes than a block of Swiss Cheese. ?